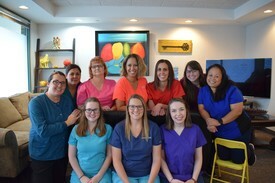 Once Upon A Smile is located at 1730 SW on South 7 Highway in Blue Springs, Missouri. We are South of 40 Highway between Children's Orchard and Tuscany Italian Restaurant. If you have any questions, concerns, or would like to schedule an appointment, please contact us today using the information provided below.